ashington, D.C. rider DEBORAH GOLDEN found a sanctuary for herself and her family at SoulCycle. Read on for her inspiring story. What first brought you to SoulCycle? I tried my first SoulCycle class with a coworker almost one year ago. I have to admit, I didn’t like it — not for any particular reason, I just couldn’t find my groove. That same co-worker asked me to try it again several weeks later, but I still felt like it wasn’t going to be my thing. Thankfully, the third time was the charm and it clicked as I rode to the beat of the music. I haven’t stopped since. It wasn’t until recently that I recognized the reason SoulCycle has such great meaning in my personal and professional life: It’s the instructors and the support crew, providing inspiration and motivation from the second you walk into the studio. 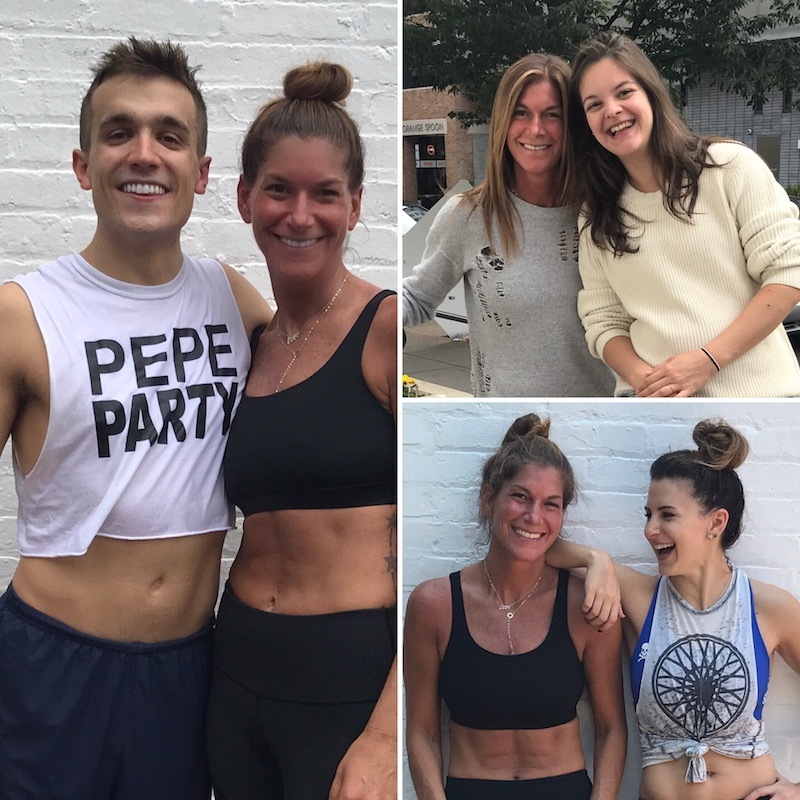 My regular SoulCycle Instructors like Chris Pepe, Kate Champagne and Natalia Millan keep me returning several times a week, each and every week. It’s because of their passion and enthusiasm that I have expanded my SoulFamily to include my husband and teenage daughter (regular riders at this point!) and my professional family (many of whom return regularly after our Corporate Rides). One unforeseen (and incredibly positive) outcome of my time on the bike? My growing SoulCycle family, cultivating a community of new friends (and their families) with every pedal stroke. We ride with each other, moving to the rhythm, not competing with one another but instead working together – becoming stronger together. How did you feel in your first rides? SoulCycle's positive energy, passion and inspiration help me in so many ways — when I’m feeling my strongest as well as my weakest, and it’s in the latter that the SOUL spirit fills my mind and body by allowing me to disappear into the moment without any judgement or negativity. It inspires me to push myself past any self-perceived limits in the studio and beyond. “But you don’t look sick…" I’ve lost count of the number of times that I’ve heard that statement. While I don’t let my health define me, it certainly has an impact on me whether it be abdominal pain, joint pain, fatigue, or anemia (and it’s that last one that got me good!). Three years ago, I almost died (literally). I wish I could say that I was kidding or exaggerating, but unfortunately it’s true. I needed an emergency blood transfusion and rounds of tests, which ultimately led to a diagnosis with ongoing medication to help get the condition in-check (thankfully!). Nonetheless, it’s something I will need to deal with for the rest of my life. When faced with these situations, it’s up to each of us to make a decision as to our response. I chose to fight and show up — for me, for my family, for my friends, for my life. I don’t take a good day for granted, ever. And even on my worst days (flare-ups strike often! ), SoulCycle enables me to forget about almost anything and focus on myself – my mind, my body, and my purpose. Have any rides or moments been particularly memorable to you? Three actually – each one of them including my family. My daughter and I typically ride in the front row with my husband right behind me. In the middle of an incredibly challenging set Kate Champagne said, “Well, Mr. Golden, you certainly have the best view in class!” In another one – having doubled for the day simply so that my daughter could go to a theme ride (Ed Sheeran vs. Justin Bieber) – Kate Champagne said (in a class where my husband was the only male rider!) “Mr. Golden, you certainly get Father of the Year Award”! Lastly, on Chris Pepe’s last class here in Washington, D.C. (as he headed off to the West Coast shortly thereafter – for which I’m still in denial! ), my husband proudly wore a crop top (aptly imprinted “Pepe Party”) to showcase his support in his own way and his own words, bringing smiles to everyone... simply priceless. I’m incredibly proud of both my husband and my daughter for joining me on this SoulJourney. We ride together (Go Team Golden!) – for ourselves and for each other, stronger together – and I simply couldn’t ask for anything else.